Discussion in 'Civ6 - General Discussions' started by qadams, Jan 17, 2019. Here's a screenshot from a current R&F game I'm playing, on a Fractal map. As you can see, there are five different "continents" squished together in a fairly small area — with no apparent logic at all behind their boundaries. Surely the designers can do better than this, can't they? Let's hope it gets fixed in the GS expansion. God of Kings and Icicle like this. They mentioned that they have tweaked the continents generation for GS, though more in terms of the continents being better defined by terrain. Guess we’ll have to wait and see. conorbebe, Zaarin and Tiger Genocide like this. Wizard-Bob Always remember to Find Your FUN! Very hard to tell if this is an outlier situation, or typical. In my experience, I have not seen anything so extreme. Our_DeCay and Karmah like this. I don't really see what the problem is. Can you define specifically why you consider this to be a problem. If it is the size of the continents are you suggesting continents should be more equally sized? If it the position of the continents are you suggesting they should not border more than two continents? Please give your preferences in my Economic Victory thread here. Its very useful! George Abitbol, Cedbird77 and legalizefreedom like this. The problem is that it's meaningless. It's a large continent with a small sea in it (more or less like Asia and the Caspian in the real world) yet it's been arbitrarily carved into random continents with no obvious rhyme or reason. Zaarin, Babarigo and Icicle like this. You mentioned you took fractal map so this is not a Continent map issue. Don't they even say fractal is unpredictable in the outcome? Karmah and Julia97 like this. I don't see the problem. Continents already shouldn't exist on Pangaea. They only exist because of gameplay mechanics that require them, such as the inspiration for foreign trade or several of the policy cards. The only issue that affected gameplay in the past was that civilizations would spawn randomly on a continent, including at the edge. This made bonuses such as America's (+5 strength on your own continent) unreliable. Rise and Fall fixed this for the most part, making civs spawn mostly in the middle of continents. George Abitbol and legalizefreedom like this. George Abitbol, Delvi, Civrinn and 5 others like this. Why shouldn't continents exist on Pangea? Geologically speaking, Pangea on Earth was the result of several tectonic plates colliding in a way that formed one huge landmass. Thus, Pangea had continents, however they were not visible to the naked eye. Just like it happens in Civ. George Abitbol, Zaarin, Red_warning and 4 others like this. Thus, Pangea had continents, however they were not visible to the naked eye. "Western Kazakhstania collided with Baltica in the Late Carboniferous, closing the Ural Ocean between them and the western Proto-Tethys in them (Uralian orogeny), causing the formation of not only the Ural Mountains but also the supercontinent of Laurasia. This was the last step of the formation of Pangaea. Meanwhile, South America had collided with southern Laurentia, closing the Rheic Ocean and forming the southernmost part of the Appalachians and Ouachita Mountains." Civrinn, BrotherInJah, Dearmad and 1 other person like this. The continents in civ6 are more akin to the "geopolitical" definition rather than geographic, much like Europe/Africa/Asia being split up from the Eurafrasia supercontinent. It's better than the one in Civ5 where it was basically any landmass other than the one you are on. It's better for balance and more interesting for gameplay. George Abitbol, Atlas627, Our_DeCay and 7 others like this. I don't know what you are talking about...it seems fine to me. I'm pretty sure this was a continents map, I very rarely play on anything else. George Abitbol, Victoria, God of Kings and 3 others like this. Europe isn't divided from Asia. They're the same continent, as what defines a continent is contiguous landmasses, not mountains. Europe's existence as a separate continent is merely political. And Europe is connected to Africa through Asia. They are one big continent. The same can be said about North and South America, except they are actually on different tectonic plates so there's some justification there. Europe doesn't even have that. Piranga and Icicle like this. so europe can perfectly be named a continent. and its eastern border is urals mountains, look at the continents map. every other continent is separated from others either by mountains or by sea/ocean. 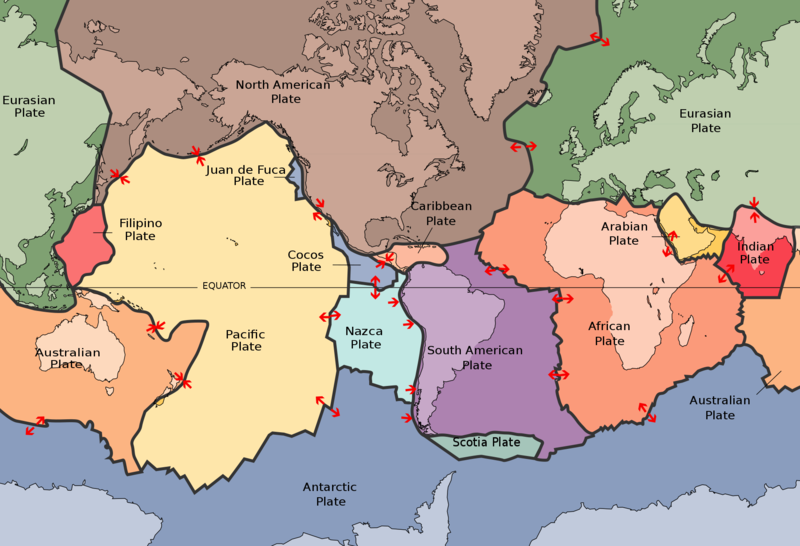 today europe and asia are at the same tectonic plate but in the past they were on the different plates. you can think of eurasia as of supercontinent containing 3 other continents. Zaarin and humble serf like this. At the moment it seems that continents are determined almost at random, which leads to the weird configurations people have been experiencing. The problem is continents are not just a visual thing, they have actual gameplay implications on luxury distribution, civ abilities, policies, etc. On one of the first streams Ed mentioned they've reworked how continents are determined, I'm really looking forward to that. Civrinn and Zaarin like this.